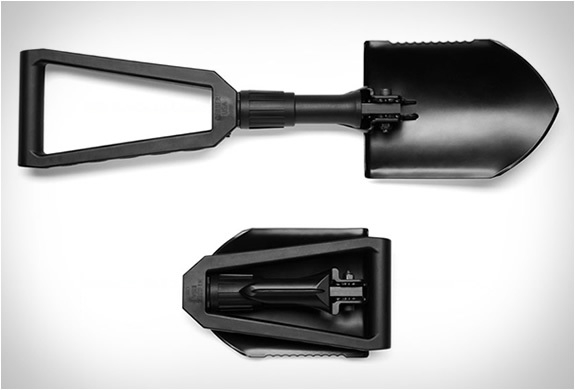 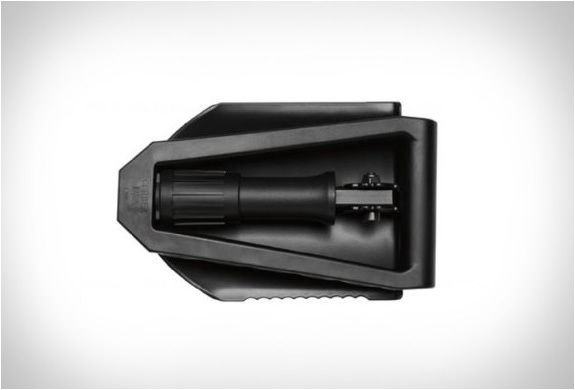 The Gerber E-Tool Folding Shovel is an essential tool, it weighs only 2.3 lbs and measures only 24in. 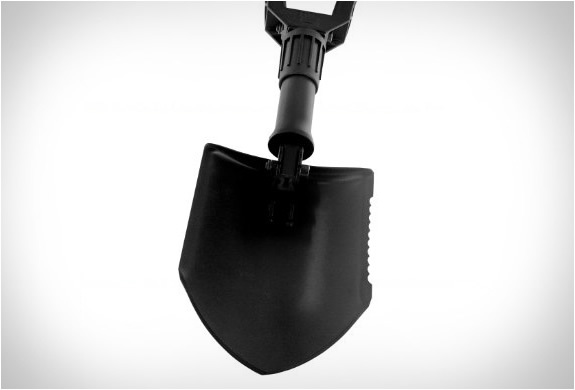 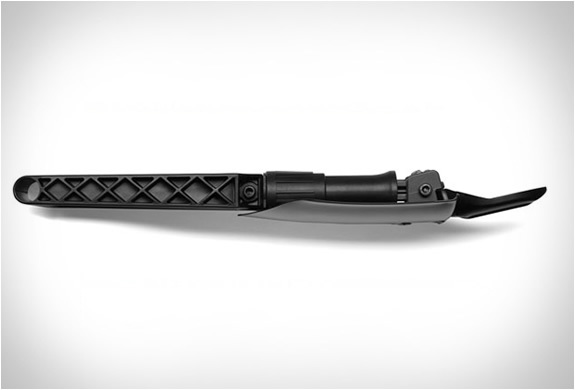 The E-Tool is designed specifically to conquer tough digging problems in all types of terrain, it features a glass-filled nylon handle with a powder coated boron carbon steel spade and an anodized 7075 aluminum shaft. 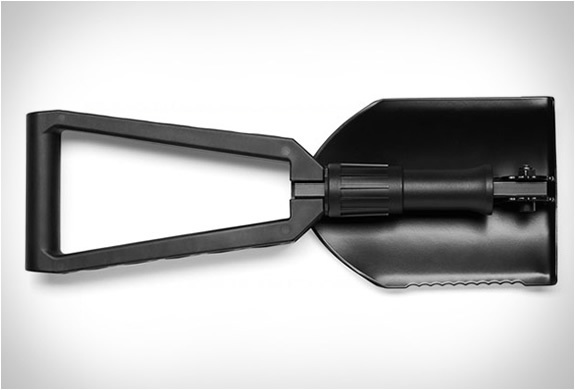 It is lightweight and tough, the serrated blade allows you to saw through vegetation while shoveling.